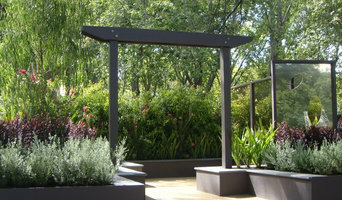 Ingardens is a Landscaping Design and Construction company specialising in residential landscapes for over 20 years. Desired Landscapes provides a garden design and consultation service – for people seeking inspiration, advice and uniquely beautiful garden concepts. We are a small, committed group of garden professionals, specialising in residential gardens through Melbourne, Australia. Our Director, Brendan Doyle, is a Registered Building Practitioner (for Landscape, Retaining wall and Fence works) and a licensed plumber for non-agricultural irrigation works. Our lead designer, Jenna Mellerick holds landscape design qualifications from NMIT, has won acclaim within the 2010 Melbourne International Flower and Garden Show and was awarded best student within her landscape studies. Jenna is backed up by the construction experience of Desired Landscapes and works in consultation with our Director to provide garden solutions that are achievable and enduring from a construction perspective. Our business is committed to industry professionalism and is a member of Landscaping Victoria and the Master Builders Association of Victoria. Desired Landscapes builds landscapes – for people who are seeking lasting, durable outdoor surfaces, structures and elements. We are experienced in all aspects of hard and soft landscaping. Desired Landscapes has built its success, and received commendation from the landscape industry for its quality construction techniques. We are always keen to engage with quality-committed clients to achieve beautiful and lasting landscapes. Desired Landscapes cares for plants and gardens – for people committed to achieving the best possible outcomes in their gardens. Our maintenance service cares for gardens constructed by Desired Landscapes and for gardens within our maintenance run boundaries. We love watching our gardens grow up as we intended, and our maintenance work provides us with this opportunity. A Desired Landscapes garden will positively improve your home lifestyle and add value to your property. Australia’s leading specialist in sustainable vertical gardens, roof gardens, pre-grown planter boxes, and green facades. 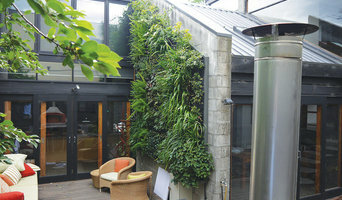 Fytogreen provides inspiring, environmentally sustainable gardens. Fytogreen have completed more than 200 successful garden projects in Australia including Australia’s largest single greenwall at 1 Bligh Street, Sydney and Melbourne largest greenwall project at 720 Bourke Street. Fytogreen have also created over 55,000 square metres of beautiful and sustainable rooftop gardens including the largest green roof in the Southern Hemisphere at the Victorian Desalination Project. 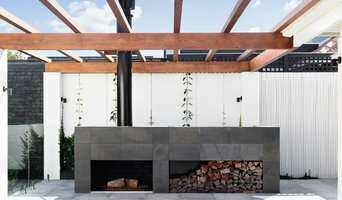 Daniel Tyrrell Landscapes is a leading Melbourne garden design and construction business. For 10 years, Daniel and his team have been creating functional. beautiful and unique gardens for residential clients across the city. 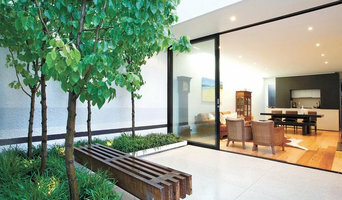 Inner Melbourne gardening and landscaping services. Fast, reliable and reasonably priced. Creative ideas for small spaces. Andiamo Landscaping provide professional landscape by design, landscape construction and garden maintenance services throughout Melbourne and the Mornington Peninsula. Everyday over 300 families enjoy living and entertaining in the gardens we have created and care for, so you can be sure that your garden will be just what you and your family are looking for. Best on Ground Landscaping over the years has had the pleasure of designing and constructing residential and commercial landscapes. Our experience ranges from small residential properties to working with large corporate building companies with strict timelines. When it comes to your home, the team at Best on Ground Landscaping work towards a plan to provide a suitable outside living area, which meets the needs of your work and home life. Each design is tailored to incorporate the lifestyle of the client, be it a large outdoor entertaining area suited for the kids or a small courtyard to sit and enjoy on the chance your away from the office. We pride ourselves on the attention to detail and the quality of workmanship that only comes with years of experience. We service the Adelaide region but we can also offer regional South Australian services. Please call us for a free quote today! Everlast Services Melbourne is a proudly family owned and operated fencing, landscaping and concreting business located in Hoppers Crossing. We manufacture all our own steel products at our state-of-the-art factory in the western suburbs of Melbourne. As such, we stand behind the quality of all of the products we use 100%. Plus, all of our materials are completely Australian made and owned. With more than 20 years in the business, we know all there is to know about all types of fencing, landscaping and concreting. Let us apply our knowledge to your next home improvement project for a result that is sure to delight. While we have a highly talented and experienced team of fencing, landscaping and concreting contractors, we are also a steel fabricator and wholesaler. So, if you’d rather install your fence or complete your backyard renovation yourself, then we can supply high-quality, affordable materials (without the pesky middleman taking his cut). We deliver anywhere in Australia. No job is too big (or too small) for us. Earth Aspects is a rapidly growing landscape construction company servicing all Melbourne and surrounding areas including regional Victoria providing our customers with solutions. Our aim is to inspire you, share the journey with you and to create your landscape vision. A Lawn Mowing Service that leaves a beautiful Clean Crisp Finish Every Time.- We take pride in our work & have the equipment to bring your lawn to life, with manicured neat edges and a very neat finish that you’ll be proud of !!! WE keep all our equipment well maintained – to make sure you end up with the cleanest finish possible -blades on all our ride on machinerey/push mowers are kept sharp. A Grass Slashing/Grass Cutting Service When the Grass has become far too long, over grown & needs taming badly – Call Pitstop Gardening Service. We have 2 sized ride ons to slash down any over grown area – no Matter how Tall! From Suburban Back Yards – To Broad Acre Areas – We do it All For Limited Access areas, We use Self propelled hand mowers/ Grass Slashers Hilly Rocky – Rugged Over Grown Areas No Worries, we Brush Cut those areas & Work Fast + Leave it Clean, so no Longer a Fire Hazard & a place for Snakes/Mice to nest. Pitstop Gardening goes where others can’t. Hedge Cutting The Experts, Big or small – from large conifer/or pittosporum hedges, to English Box hedges. Whether you would like nice standard shaped balls around the house, or plants to be squared of to keep things under control. Pruning Pruning is an essential part of gardening to keep the plants bushy, under control & just to get rid of any dead wood. There’s always essential pruning around the garden needing attention, depending on the the time of year what needs doing. During March/April, there’s many plants needing a good cut back after flowering or some such as Roses requiring a good dead head to keep tidy til june-july comes when they can have a proper cut back. Weed Management A Weed Management program for your Lawn and Garden Needs. The Garden will involve a program of using herbicide & hand weed management. – Herbicide is particularly useful for the hard to kill plants like wandering dew & where it’s hard to pull the roots out- especially without disturbing the mulch. Spraying is also a way of cutting down costs for you the client,- in your garden maintenance needs. For your lawns we have at our disposal Great selective herbicides, that will rid your lawn of all your clovers & broad leaf weeds & leave you with a lawn you can be proud of. We use back pack sprayers, trolley powered sprayers & 70 ltr mobile unit. 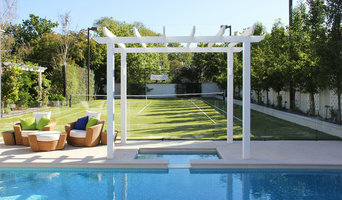 Based on the Mornington Peninsula we specialise in design and construction. A variety of styles from modern to contempary, traditional and formal. With over 15 years experience in the Landscaping industry, we pride ourself a our attention to detail and the ability to deliver on time on budget projects. Earth moving and Landscape construction.